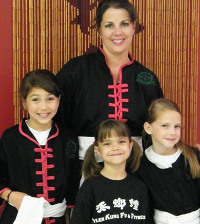 "We have loved participating in Kung Fu & Kickboxing. Carter has gained so much confidence. It has also improved his listening skills and self-control. I know these skills will help my son later in life. And as a plus, I can do my Kickboxing class the same time Carter is in his class. 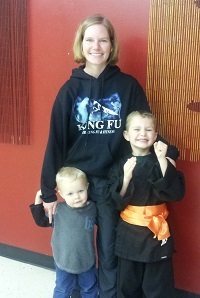 I've gained so many positive relationships with other moms & dads while in Kickboxing." 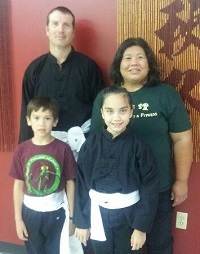 "Our family joined Tyler Kung Fu and Fitness in January of this year. Larry enrolled in the adult class, Kari (10) participates in the Warriors program, and Gary (8) attends the Big Mantis program. Personally, I take the best class of all: Tai Chi. 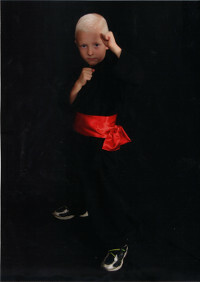 Larry has always been interested in martial arts and Kung Fu is another form he wishes to learn. Kari had taken gymnastics in the past, but wanted to try something new. The Kung Fu fighting scene in the first Matrix movie (only scene he saw) and Kung Fu Panda sparked Gary’s attention. Me? Well, I needed exercise and Tai Chi was the answer. It is easy to make friends at TKFF. The staff and members are very accommodating. Our children look forward to their classes and love to show me a move that they learned. Tai Chi movements are slow, but full of concentration. It establishes internal strength and peacefulness. 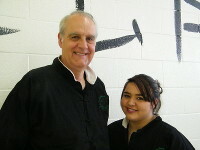 I admire the folks in my Tai Chi class, some who have taken it for 11-16 years. It makes a difference in their lives, and I find that encouraging. 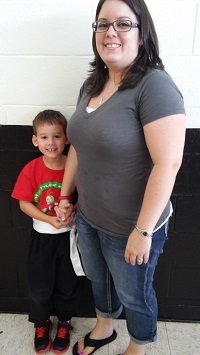 We live in Gladewater, but the commute is worth it to see my family reap benefits from the TKFF programs." "My girls wanted to try something different, after being in gymnastics for 4 years, when we moved to the Tyler area last year. They chose martial arts and we found TKFF. 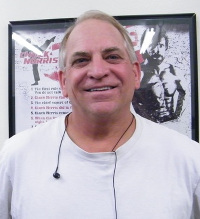 We all love the staff and environment at Tyler Kung Fu & Fitness." "I like Kung Fu because it's not about hurting someone, it is about keeping yourself safe. It is also fun. I like breaking boards, sword fighting, sparring and playing games." Christina & Janet along with son Seth and grandson Haden. 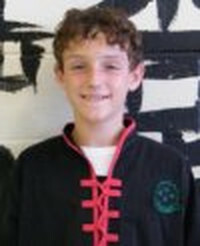 "Kung Fu teaches respect, coordination, and extremely useful self defense. 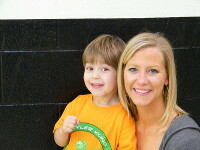 Brandon and his staff are excellent instructors and know exactly how to make learning fun for the 3 1/2 - 5 year-old class. And while the boys train in kung fu, we’re getting a great kickboxing workout!" "I'd heard such great things about the children's program at Tyler Kung Fu & Fitness that I emailed and set an appointment to tour the facility. We enrolled Dallas in the Little Mantis Class." 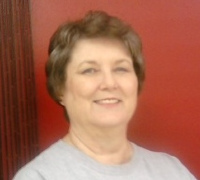 "While living in Mount Pleasant, I became involved in Aikido through NE Texas Community College. 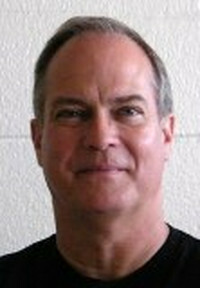 I took Aikido several semesters and thoroughly enjoyed the program. 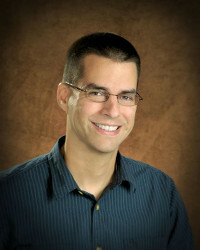 Returning to Tyler, I began searching for Martial Art forms similar to Akikdo that would combine strength training, balance, aerobic exercise, and a form that was gentle on my knees. I was also, looking for something I could do with my granddaughter. After determining Aikido was not available in Tyler, I discovered that Kung Fu was similar in that it provided what I was looking for: self-defense, gentle on my knees, and something I could practice with my granddaughter. That's when I found Tyler Kung Fu & Fitness. We tried a week of class, then enrolled in the family program. So far, the program has been everything we expected. In this brief time, I see improvement in flexibility, balance, fitness, and self-defense skills all in a manner that doesn't place stress on my knees. " "The biggest thing I still have from kung fu is that it gave me the belief that I can do just about anything, even if it seems hard or impossible." 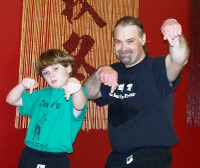 "At TKFF my son and I are able to train together and share the wonders of Kung Fu. We have found our home at TKFF. Kung Fu has become a way of life for us." "Tai Chi has helped my balance significantly." "I love Kung Fu. It has helped me in other sports as well." "I walked through the doors of TKFF in 1996 and had no idea how much it would change my life." "...But the difference between Kung Fu and fighting sports was that Kung Fu was a way of life for me while the other fighting sports were just sports. Kung Fu in a literal sense means "hard work." I will never give up or accept defeat in anything in my life because my Kung Fu is strong." Laurel along with daughters Gyna, Claire & Truleigh. 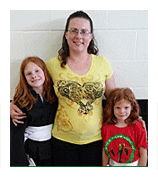 "I have wanted to do martial arts for years and coming to TKFF lets me train with my daughters." 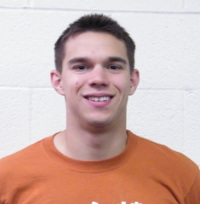 "In February 2010, I began Circuit Boxing training at Tyler Kung Fu & Fitness. Since then, I've dropped pant sizes and pounds. I haven"t been in this good of shape since my college days. I train three times per week on the bags. My record caloric burn on a single work out is 971calories." 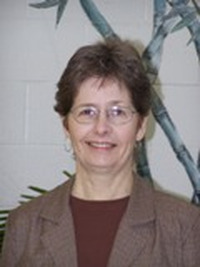 "Due to old injuries, including one, which caused me to be off my feet for six weeks, as well as other medical conditions, I had lost strength and the ability to walk from the front to the back of the local large discount store then back to the checkout. I had to limit my shopping to stores where electric carts were available. I could not do the gym type exercise or impact exercise because it inflamed old injuries to the point that epidurals were required. The slow movement of Tai Chi has increased my strength. The focus required learning the movements, and correct breathing has been a stress reliever as well. After four months of Tai Chi, I am able to walk from my vehicle to the store all the way to the back of the store across the back then to the front of the store to check out and walk to my vehicle. Yea Tai Chi!"